You must make reservations at least 5 minutes in advance of the time at Moshi Moshi Sushi. In addition to street parking, there is a pay lot located under the building. As of now it is $1 an hour and the entrance is located on Leary Way, next to Cafe Fiore. It is called Ballard Parking Garage. 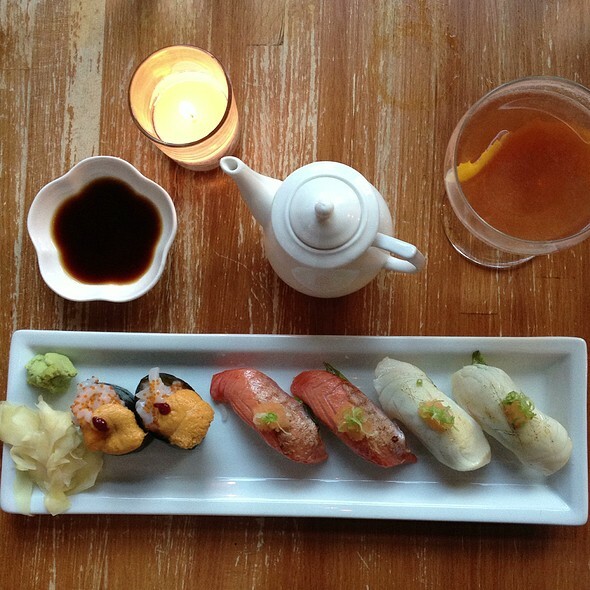 Moshi Moshi Sushi is a full service Japanese restaurant in the heart of Old Ballard. 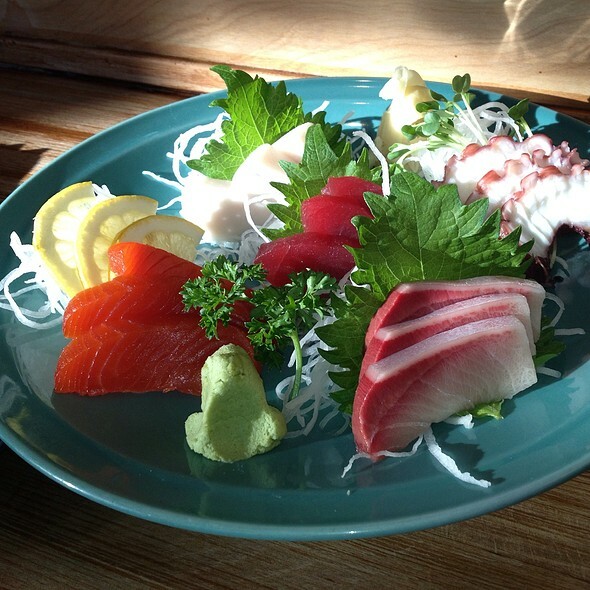 We specialize in traditional Japanese Sushi and Cuisine, using the highest quality fish and products available. 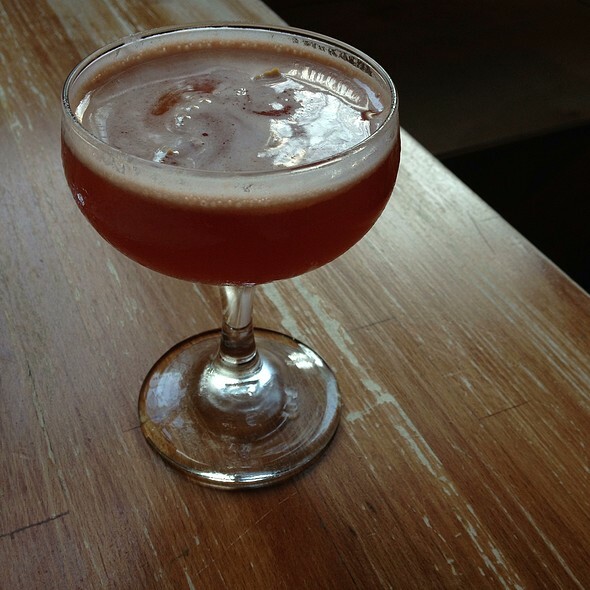 We have an extensive hand-crafted cocktail program along with sake, beer and wine. Combinations come with rice, miso soup, sunomono salad, and your choice of a Tekka, Kappa or Oshinko roll. Amazing food and good prices. My favorite sushi place in Seattle. Always fresh, always good, always great service. Atmosphere is nice with 2 stories and big lighted cherry blossom tree in the center makes a nice focal point. 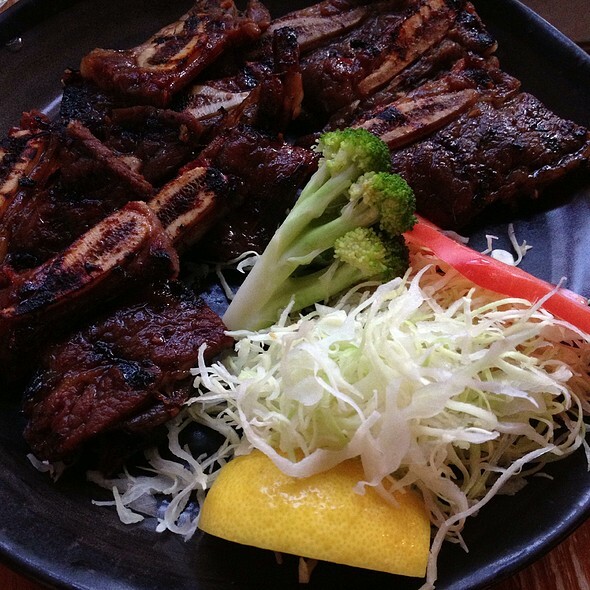 The food is great and the service is wonderful! Great happy hour! Not great food, just great prices! We will not be coming back. Mood lighting was a little dark but the service was perfect and the food was incredible. The sushi was good - which is rather the norm at most Seattle sushi restaurants but should be noted. The prices are nice as well with most rolls in the $9 - $14 range. My only challenge is the tables being super close/packed in. Frankly, it is less a hip vibe, and more loud, communal seating with strangers. If you would like to have a good conversation with your date, this is definitely not the right spot to pick. However, if you love those hectic, bustling, noisy places, this is a solid choice for sushi. It was our first time to Moshi Moshi and my wife and I had a very nice experience. We pretty much went with the sushi and two orders of tempura. Tempura was excellent (albeit, small portions), and the sushi was very good. Good service, lively atmosphere. We would go back for sure. Great experience and service! The whole place is fantastic. Moshi Moshi is our favorite sushi place in Seattle. The staff are always amazing, the happy hour is great, and the whole room is lit up by a gigantic led cherry blossom tree. I've been coming to Moshi Moshi for over 25 years and love this quiet neighborhood spot. The fish is fresh and everything on the menu is delicious... and lots of choices. Great cocktails too. Decent sushi, nothing OMG but the seafood fried rice was really good. We had family in town for Thanksgiving weekend, and what could be better than Sushi the next day? There were 8 in our party with a variety of dietary preferences, including vegetarians and gluten-free diners. We are all happy and full by the end of the meal. Also, the Japanese Margarita cocktail was excellent. The atmosphere is gorgeous with the beautiful lit tree in the center of the restaurant. We love coming to moshi moshi and the sushi rolls are great! They also poor nice stiff drinks. Great selection of specialty rolls. Friendly servers and chefs. Very good sushi. Outstanding tempura, crispy and fresh! Great happy hour, excellent staff and service. Delish! 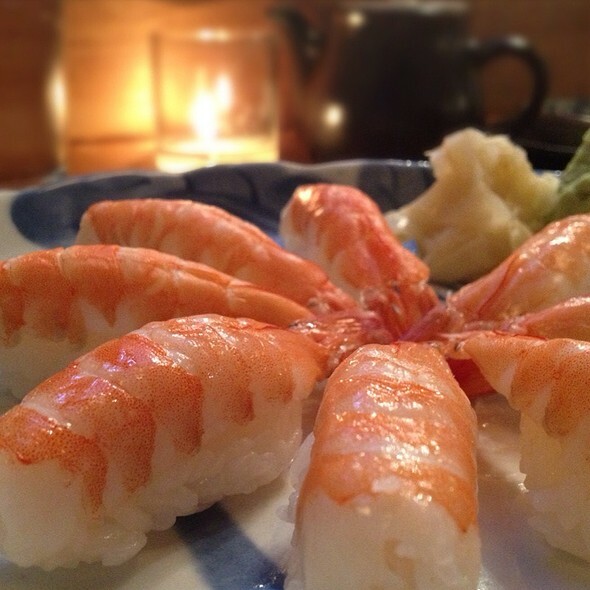 The sushi and nigiri is fresh, well prepared and presented, the ambiance is friendly and not intrusive. The place has a comfortable and welcoming vibe. And if you can arrange to be at the sushi bar while the chef is filleting a whole flounder, just that is worth the price of admission. Very skilled with the knife. Great spot for sushi in Ballard. Great sushi at reasonable prices. Service was outstanding. The best sushi in the neighborhood and one of the top places in Seattle. In our family of four, Moshi Moshi gets requested the most for special occasions like birthdays and graduations. We usually ask the chef to make us a combo plate (omakase) with the only limit being gluten-free components, and he always delivers something amazing. Such excellent service. The quality of their fish is outstanding, and their selection is consistently good. Sushi grade wasn’t great, rice is very dense. Order got messed up with the wrong item being delivered and us having to cancel it. Then received a bill with someone else’s items on it too. I always respect a place that treats our children as the experienced world diners with well-developed palates that they are. We appreciate the kindness and recommendations and the welcoming of their questions about food source and preparation. This isn’t The Best sushi in town, but their offerings are decent and servings are good value and nicely presented. Moshi Moshi has become our default whenever we go out for sushi. The chefs here are really creative, the staff is friendly and helpful, and the ambiance makes for a great evening out. Weve eaten a lot of great sushi having lived in Asia for 9 years so I don’t say this lightly when I say Moshi Moshi Sushi is in our top three best sushi experiences. Comparing Moshi Moshi Sushi to other Seattle venues, well, let’s just say Seattle’s so called best don’t need to look over their shoulders because Moshi Moshi left them standing at the start line. 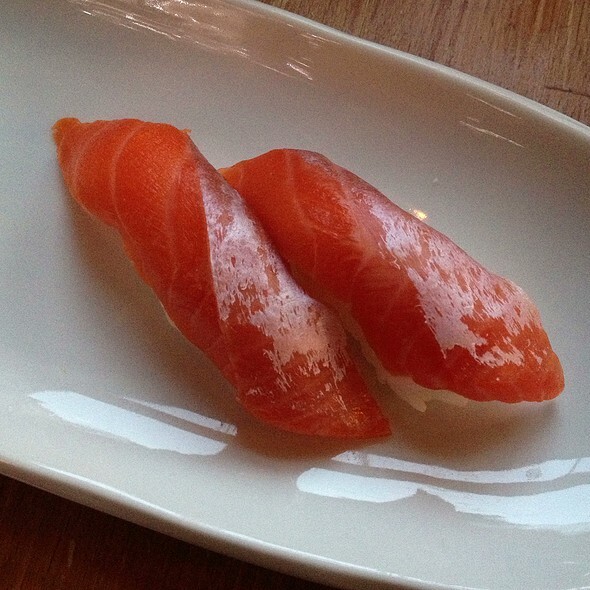 The service complimented the great sushi making for a very memorable experience. We will most definitely be going back. Food was good but service was slow, very bad. Server spilled our beer when pouring and didn't even acknowledge it. We had to flag her down to get a towel to wipe it up. Place was half full yet it took 45 minutes for our sushi order to arrive. Pretty highly priced for such bad service. Pass. This was our first visit to Moshi Moshi. Sushi and sashimi was fresh and well-presented. Agadashi tofu was especially tasty. Our waiter was very efficient and extremely pleasant, and helpful with suggestions and recommendations. Sitting upstairs was lovely and private for our group of six, with lighting from the "cherry tree" providing unique ambiance. 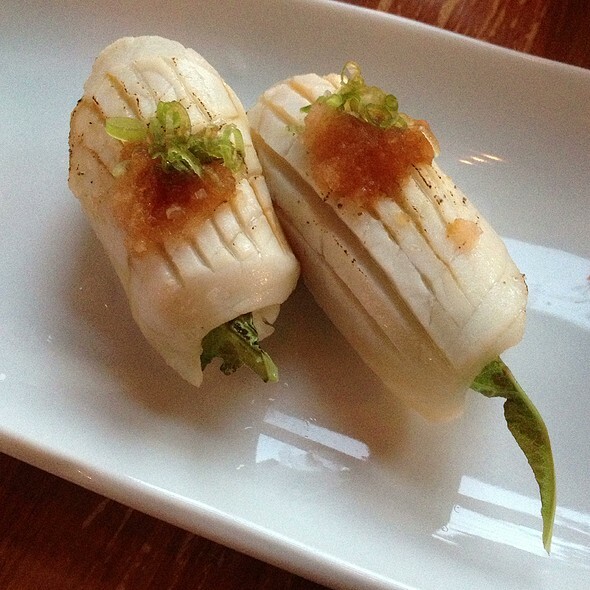 A bit pricey for pretty standard dishes and rolls, but overall a very good experience. The food was pretty good, we ate mostly nigiri which was fresh. The service was a little slow and the table was sticky - we had to ask them to wipe it down. The ambiance left a little to be desired. 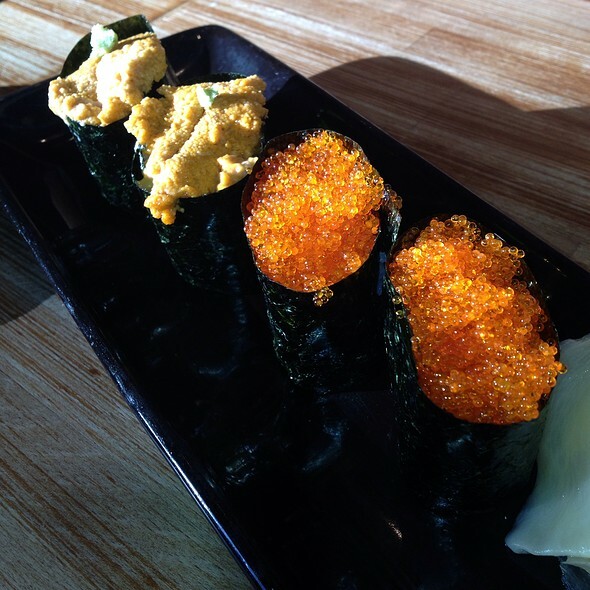 Moshi Moshi is our go-to sushi place in Ballard. 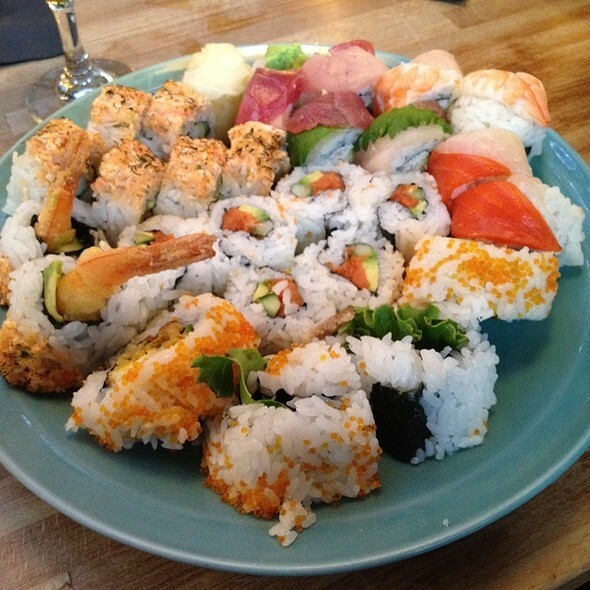 The sushi and service are always excellent. Friendly, thoughtful service and delicious food. Special requests and questions met easily. Lovely dinner experience as always. Thank you! Incredibly fresh seafood! Service was okay, nothing spectacular, but not horrible. Loved our visit to Moshi Moshi. Chef Ben is friendly with a great sense of humor, so we enjoyed the sushi bar banter. Get there before six for their happy hour pricing--great value! Highly recommended. Service was fine, but not excellent. Sushi was delicious, although my family is not a huge fan of their version of california rolls. There is a small step at the door, so you need to use the back/side entrance for wheelchairs. Birthday dinner for son. Wast great!! He and we loved it.